In poetry circles , recovering from National Poetry Month is akin to the recuperation period that takes place after a Thanksgiving sized meal. We are full and happy and there are plenty of leftovers to indulge in. 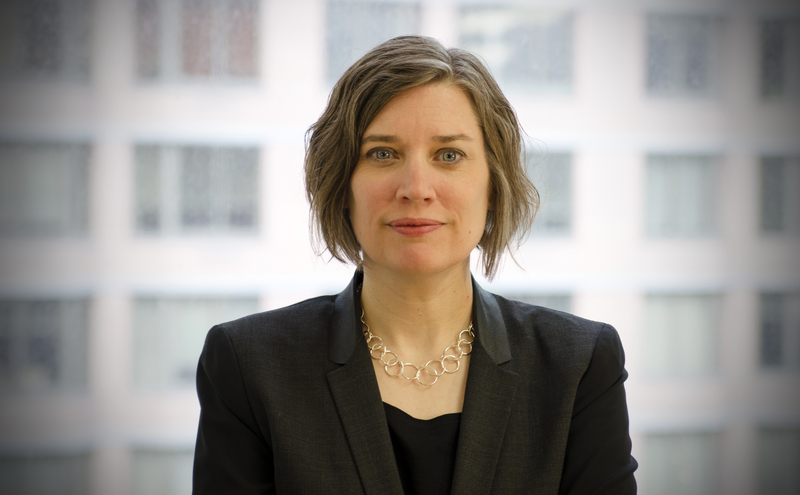 Today, we are enjoying some of that post-NPM goodness by featuring an interview with Jennifer Benka, the Executive Director of the Academy of American Poets. We’re delighted to be in conversation and see how collaboration between our two poetry minded organizations will continue to nurture the growth of poetry and support of those who write it. Jennifer, thank you for being with us on the blog today. What is the Academy of American Poets and how were you founded? The Academy of American Poets was founded in New York City in 1934 by a young woman, Marie Bullock, who, upon returning from studying in France, was dismayed by the lack of support for poets in the U.S. For many decades, she tirelessly advocated for poets and the important place poetry has in our culture, and today we are the largest member-supported organization devoted to poets and poetry in the U.S., with patrons in all 50 states. How did National Poetry Month begin in the US? Inspired by the successful U.S. celebrations of Black History Month (February) and Women’s History Month (March), the Academy of American Poets established National Poetry Month in April 1996. Today, National Poetry Month is the largest literary celebration in the U.S. with millions of readers, students, K-12 teachers, librarians, booksellers, literary events curators, publishers, bloggers, and, of course, poets celebrating poetry’s important place in our culture. We’re thrilled to be sharing the month with poets and poetry supporters in Canada. 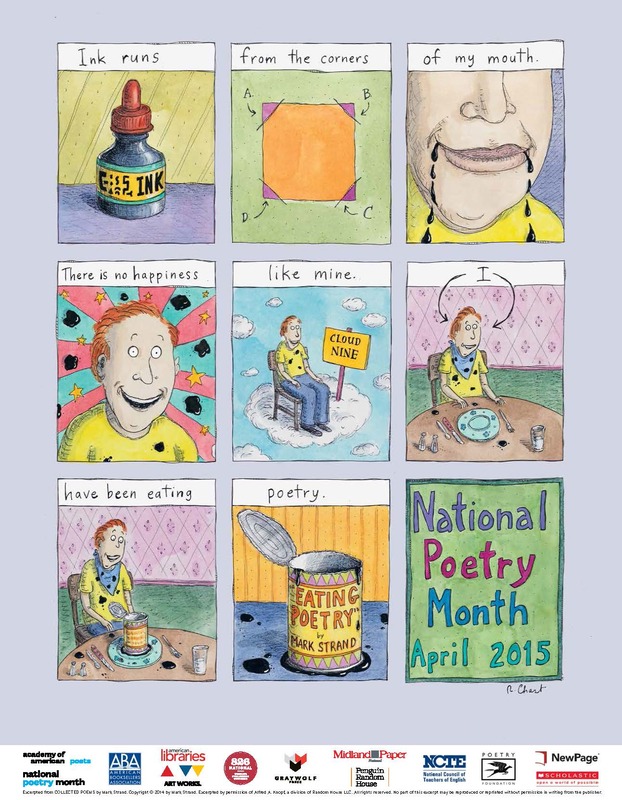 Every year you commission and distribute a poster in celebration of National Poetry Month. Can you tell me a little but about the process, and this year’s special poster? The Academy of American Poets partners with award-winning designer Chip Kidd to commission a poster in celebration of National Poetry Month. We distribute more than 120,000 posters, which are displayed in classrooms, libraries, and bookstores, from coast-to-coast. This year’s poster was designed by National Book Award finalist Roz Chast and inspired by the poet Mark Strand. How do you plan celebrating once NPM is over? In May we will be posting letters from students who participated in our Dear Poet project in April on Poets.org, we’ll be gearing up for our Summer Reading Series, and we’ll be continuing to publish new poems by today’s talented U.S. poets in our Poem-a-Day series. Check out the Academy of American Poets on their popular website.